Adam and Chris met back in 2013 when they were doing construction work in the Federal Hill neighborhood of Baltimore City. They hit it off quickly and and shortly there after, Adam came on board as an assistant project manager. Adam grew up in the roofing industry and was always a people person. In 2015 he transitioned into the project consultant role. 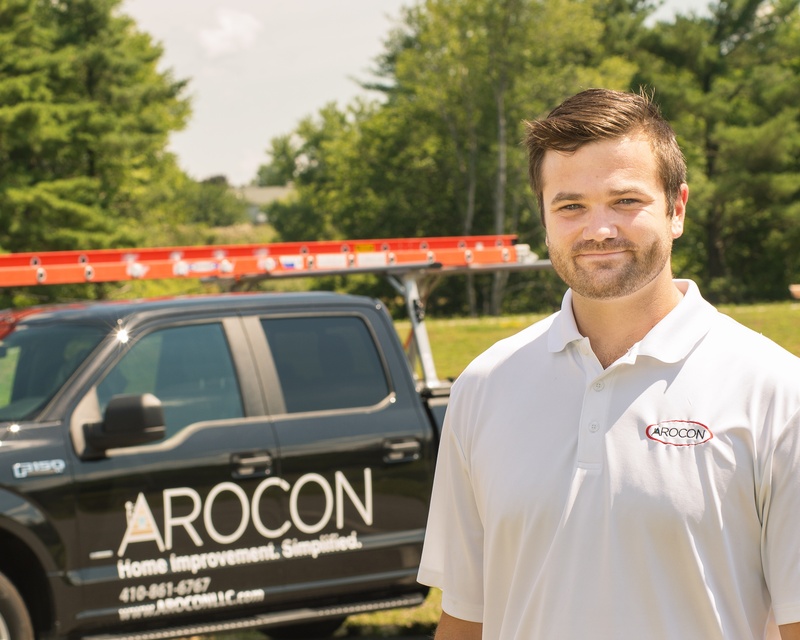 Long before AROCON, Adam's father owned a successful roofing company in Howard County where Adam learned the trade doing shingle tear off's and metal roofing. In 2016, Adam took a major career leap when he moved to Arlington to open AROCON's Northern Virginia division. He has been very successful so far and has big plans for the future. In his free time, Adam enjoys traveling, outdoor activities and spending time with his girlfriend Christine. She is also very active and helps keep Adam grounded. From the onset the experience with AROCON was top notch. Adam took the time to walk me through step-by-step the work to be performed and the process once we signed a contract. So that we could see the shingles on an actual home, he provided us with addresses of homes with the various shingle colors we were considering. The crew arrived as scheduled and began preparing for the tear-off of our existing shingles. For protection, they draped tarps over our mulch beds, deck and front porch. In a matter of a day, they had the old roof off and the new roof installed. The work looks amazing. They cleaned up everything, reinstalled our gutter guards and wished us a "good day". First of all, the price was very competitive especially when you consider the quality of the work and level of professionalism by everyone I came in contact with throughout the project. I was extremely impressed Adam and Mike, the team who replaced the roof, and the ladies in the office. Everyone was very kind and polite. Several of my neighbors were very complimentary of the roofers, the work they did, and steps that they took to make sure the job site was kept clean. I was very impressed how the roofers worked together so well and continued to work throughout the day. I highly recommend AROCON. AROCON repaired the leak in the roof on my house. They inspected the roof and gave me a quote. Their workers were very professional. They are a good company.